The old. 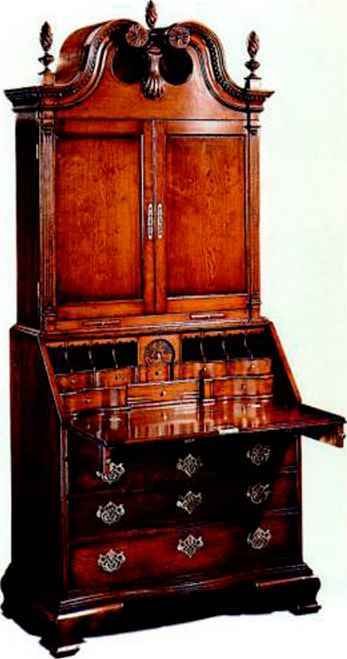 Whitley built this copy of Aaron Burr's desk, using what he learned when hired to repair the original. The new. 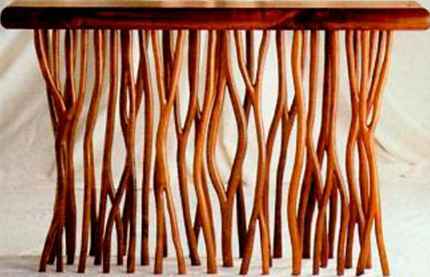 Whitley's forest console shows the smooth, graceful lines of his own contemporary designs. 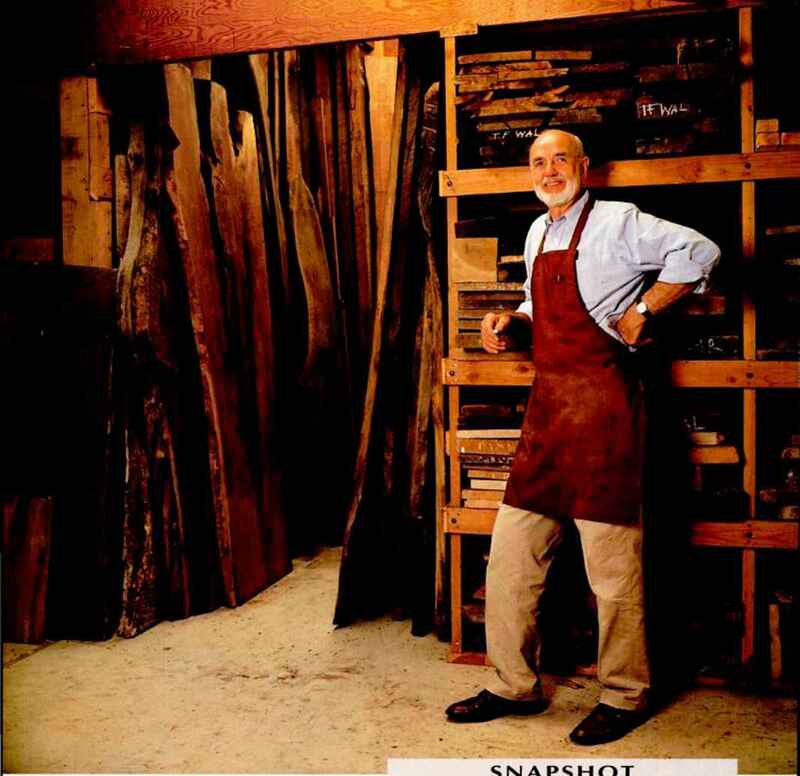 Enter Robert Whitley's showroom and you immediately step into two worlds of woodworking. 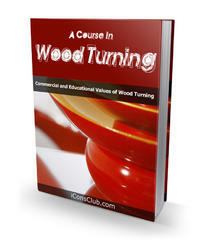 One half of the room is filled with contemporary furniture distinguished by graceful curves and contrasting woods. On the other side of the room> you'll marvel at the selection of restored antique furniture and flawless reproductions of 18th-century pieces. In a career spanning nearly half a century» Robert Whitley has crafted a reputation that is unique because of its diversity. Since the early 1950's, museums, antique dealers, and private collectors from across the country have brought their damaged antique furniture to Whitley for repair. Before long, Whitley's restoration work brought in customers who wanted period reproductions built. Both types of work flourished, but the success of these parallel ventures didn't trap Whitley in the 18th century. In the midst of his historical work, he explored new territory in contemporary furniture design. 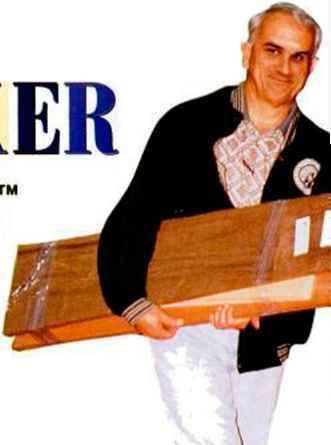 Several of these pieces—his shaved spindle rocker and forest console, for example—have become classics in their own right. Whitley believes there is a natural connection between the old work and the new. "Good design is timeless, no matter what style it happens to be," he offers. 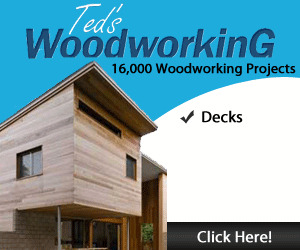 "My father and grandfather were woodworkers. For as long as I can remember, there have been old pieces of furniture in the workshop, needing repair. I learned about proportions and joinery by dismantling and examining hundreds of antique pieces. Over time, you develop good instincts for what works and what doesn't. It's really a matter of learning the rules first, then seeing which ones you can break." Whitley's place is tucked into a hillside, off a narrow winding road outside of New Hope, PA. His workshop and residence share the same roofline in a post-and-beam structure that Whitley started to build in 1970. The shop space is divided into four main rooms—one for finishing, one for bench and machine work, one for sanding and stripping, and a storage space that holds a little bit of everything, from injured furniture to ancient cast-iron machinery. Elsewhere on the property, another Whitlcy-built structure houses a selection of lumber that any woodworker would envy. (See photo, opposite.) Many of the hardwood boards have a history—Whitley remembers the trees that yielded the wood and the sawyers who turned the logs into lumber. A bounty of boards. Whitley's wood collection includes many wide hardwood planks milled from local trees. 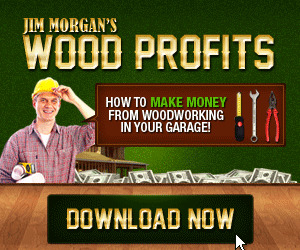 American Woodworker magazine brings you a one-of-a-kind opportunity to polish your woodworking skills and upgrade your workshop with some of the best deals available on tools and supplies! 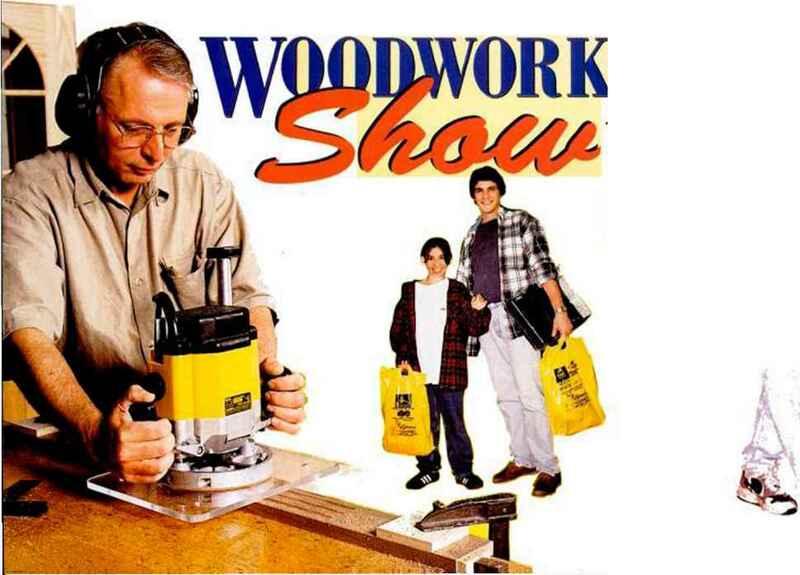 The American Woodworker Show™ is a woodworker's dream—three big days of demonstrations, seminars and one-stop bargain-hunting that simply can't be matched. Don't miss the fun and excitement!